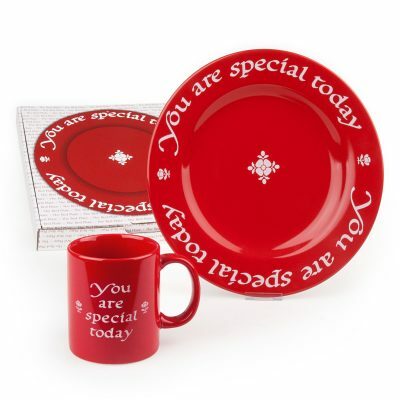 Cherry red mugs to match the “You Are Special Today” red plate. 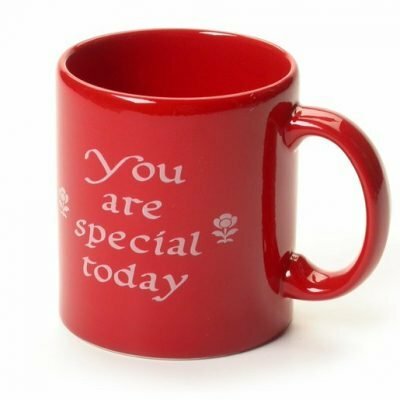 Mug someone and make their day! Also find the replacement pen for the original red plate. Keep writing down those memories and memories of special meals.